Papyrus Noshery | Papyrus Watch - Exposing the overuse of the Papyrus font. Another food-related sighting thanks to Jenny. 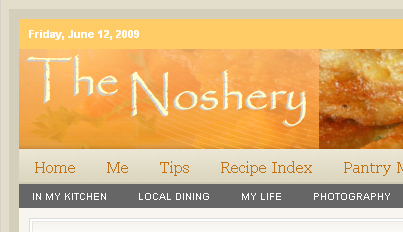 The Noshery uses Papyrus as their logo, food no less, but that appears to be it. The site itself actually looks good, well layed out and seems like it's well maintained. Don't know why they'd use Papyrus.